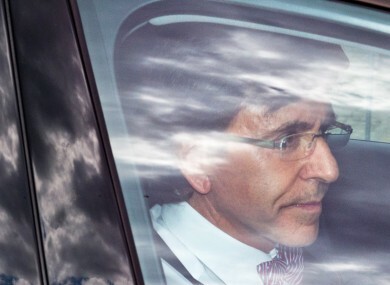 FINALLY, AFTER A world record 530-plus days of negotiations, Elio Di Rupo is on the cusp of leading his first Belgian government. While Belgium has plenty of financial issues to resolve — its credit rating was downgraded just last week — one of Di Rupo’s biggest challenges has nothing to do with numbers. It’s communicating with the majority of Belgians in their own tongue — Dutch — in this linguistically divided nation. The French-speaking Socialist has spent much of his life ensconced among 4.5 million French-speakers in the southern region of Wallonia. Up until now, he has had only an elementary need for Dutch, the language spoken by the country’s 6.5 million Flemish in the north. But now that the 60-year-old is about to become prime minister, that has changed. “It is clear that the leader of a government who finds it difficult to speak the majority language has a problem,” noted outgoing Prime Minister Yves Leterme. After Standard & Poor’s slashed Belgium’s rating last Friday, Di Rupo led a marathon negotiating session that produced a new budget with €11.3 billion in savings. As one of the 17 nations using the common euro currency, Belgium has been affected by the European debt crisis. With a full government agreement in hand, Di Rupo met with King Albert II on Thursday, and his coalition government will likely be sworn in on Monday. Even though Di Rupo has already taken giant linguistic strides, his recent answer to a reporter’s question about market reaction to Belgium’s budget showed he has some ways to go. Starting in French, he graciously switched to Dutch to please the reporter. But his halting, awkward and grammatically incorrect response meant that much of the meaning was lost in his attempt to sidestep translation. The Flemish, already bracing for the first prime minister from south of the linguistic border in almost 40 years, are pricking up their ears, ready to pounce on any mistakes. “You just cannot miss it,” Leterme said of Di Rupo’s lack of language skills on NOS Dutch television. Email “Belgium finally gets a government... after 18 months without”. Feedback on “Belgium finally gets a government... after 18 months without”.